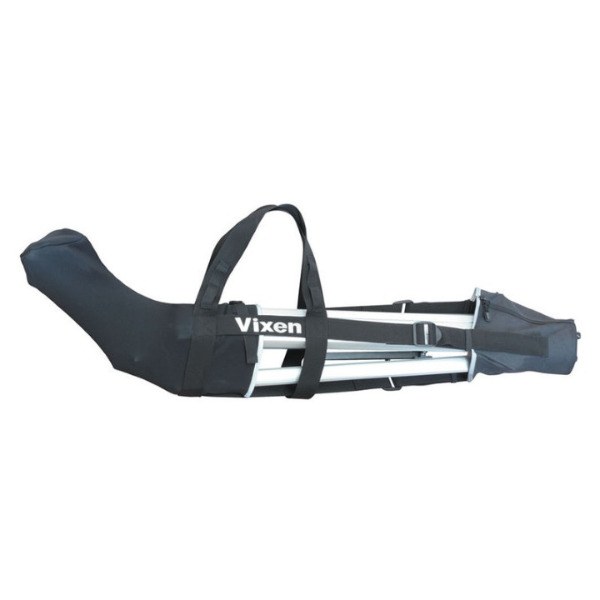 The Porta II Mount Carry Case from Vixen Optics provides a convenient way to safely carry and store the Porta II Mount and Tripod. The custom-fit case protects the mount and has a pocket to cover the tripod feet. The case also features a pouch to conveniently store the accessory tray and handles.